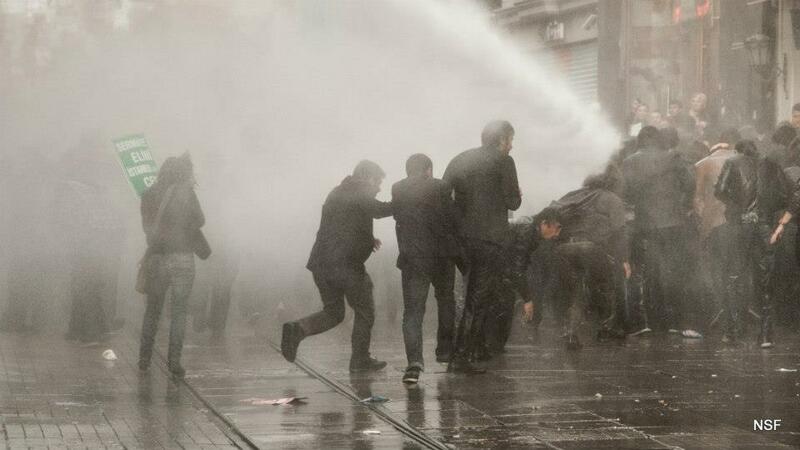 Protesters buffeted by water cannon. Photo credit Nazim Serhat Firat. Used by permission. 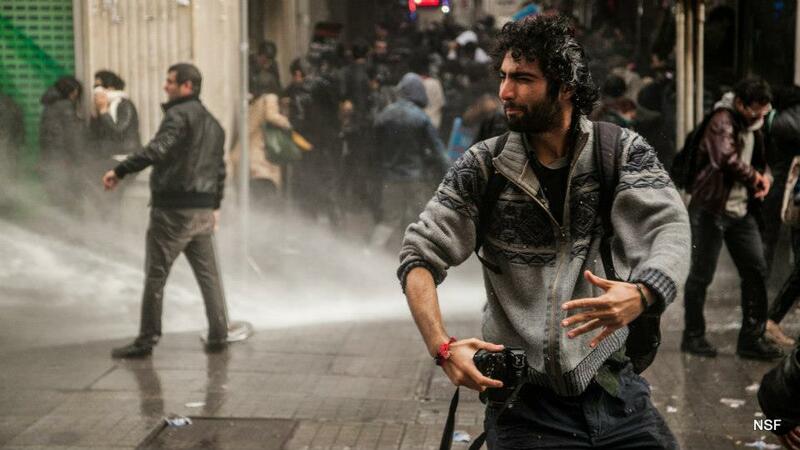 Since then, Turkish authorities have indeed initiated prosecutions… against four of the protestors, including Berke Göl, a noted film critic and a jury member of the Istanbul Film Festival. According to a report from Bianet, the four could each be sentenced to up to six years in prison if convicted. On the serious issue of reported abuse by security officials, however, Turkish authorities have taken no action at all. This entry was posted in Excessive Force, Freedom of Expression, Turkey and tagged Amnesty International, Berke Göl, Emek, Istanbul Film Festival. Bookmark the permalink.